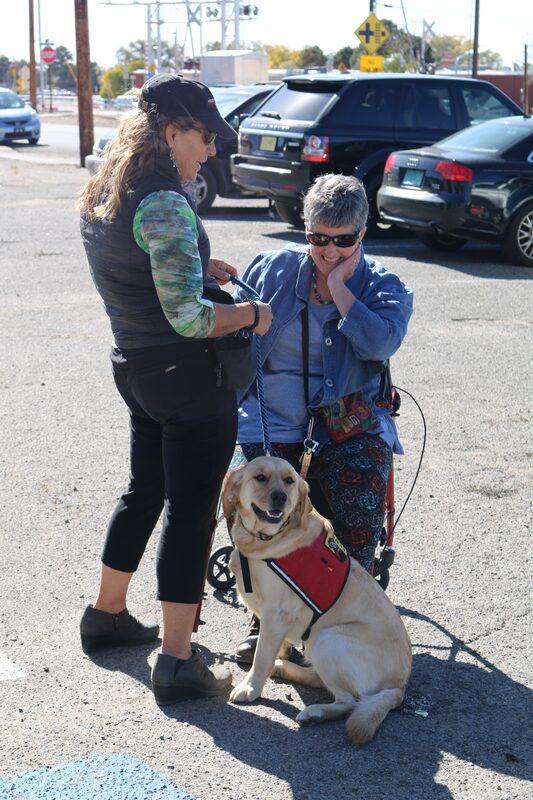 It is with immense gratitude we thank Marty’s Meals for hosting the Santa Fe Wags & Chile Festival to benefit ADW on October 21, 2017. 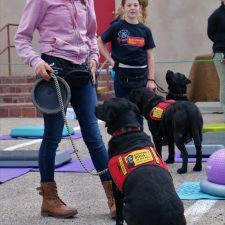 And our sunny Santa Fe didn’t disappoint either, giving us a beautiful Saturday afternoon for this family- and dog-friendly event filled with raffle prizes, a dog kissing both, the Scarf-n-Snarf contest, demonstrations by ADW Staff and trainers, and a canine skills and cues test conducted by the ADW Youth Board for attendees’ pets. 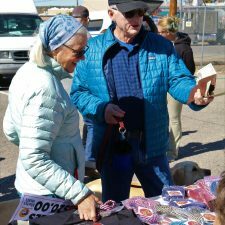 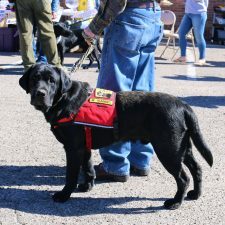 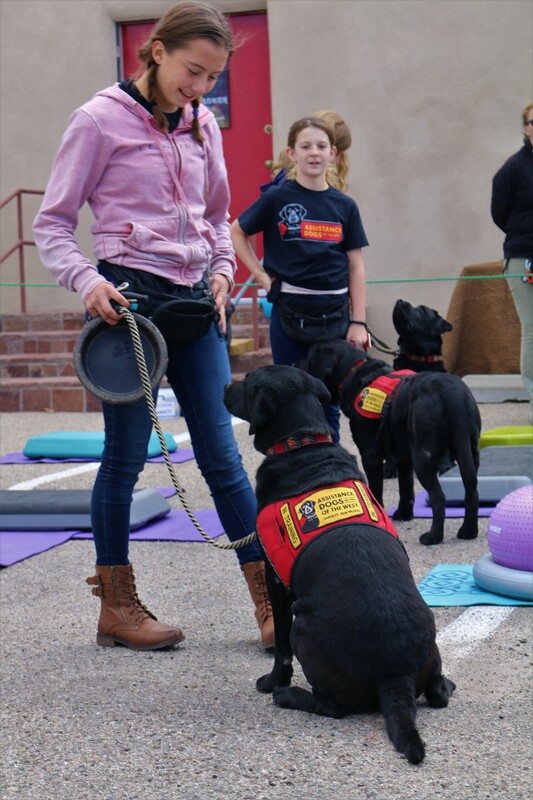 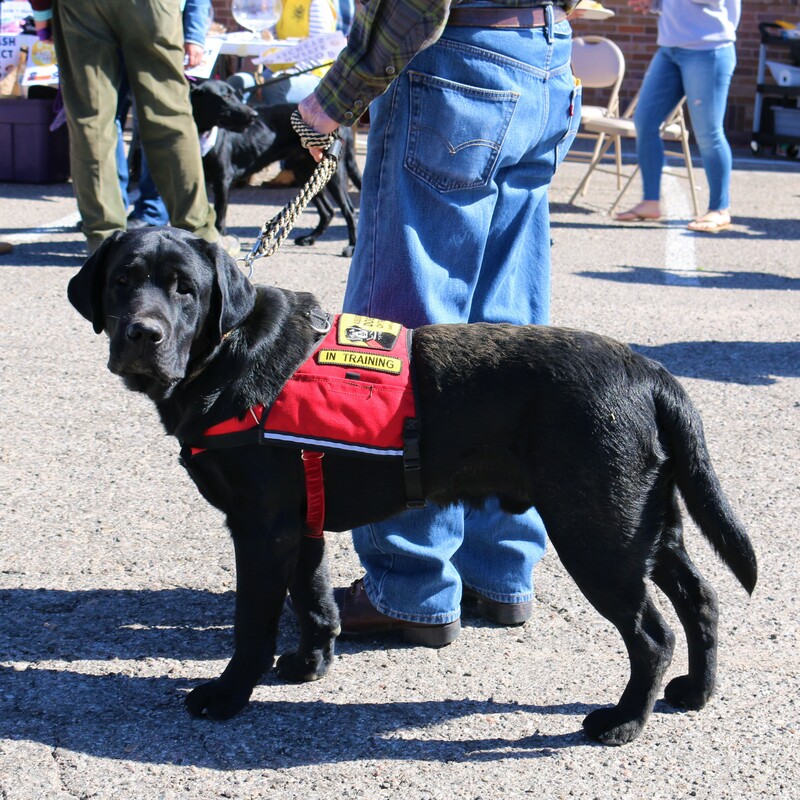 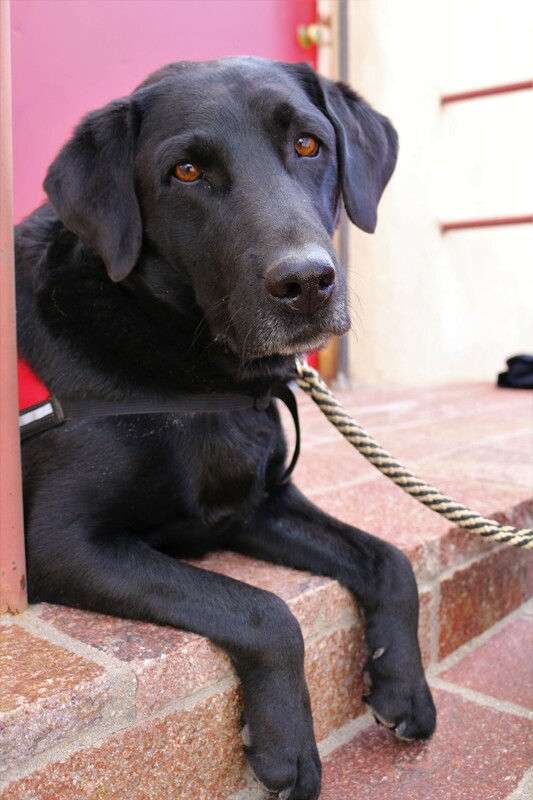 We loved seeing so many diverse wagging tails, smiling faces, and community members come out to support Assistance Dogs of the West and enjoy the delicious cornbread and green chile. 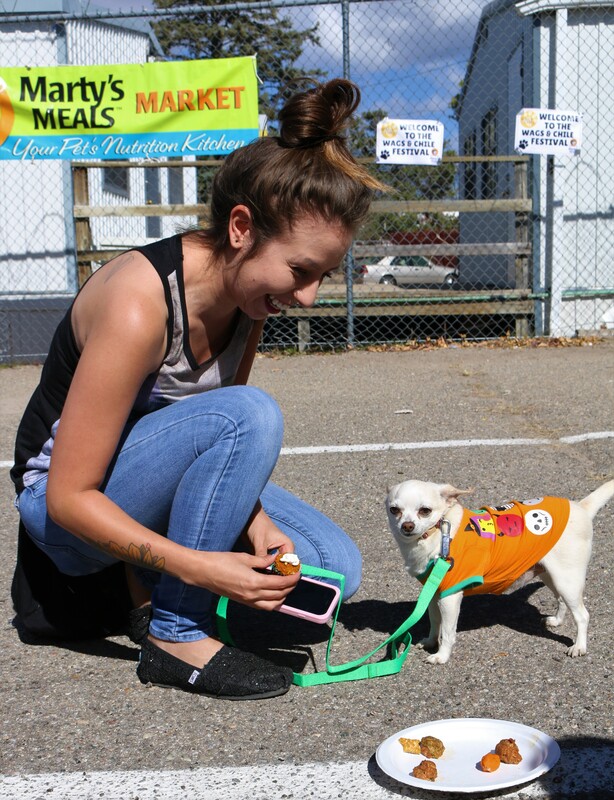 And without the magic of Porter Dylan and Cindy Jednak, this fall feast wouldn’t have been possible, including the addition of PUPCAKES. 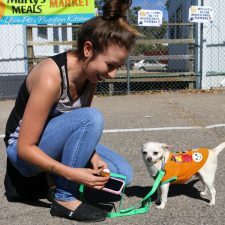 Those delightful little carrot cakes were made with all natural ingredients, no sugar and cream cheese frosting, for the enjoyment of pups and people alike! 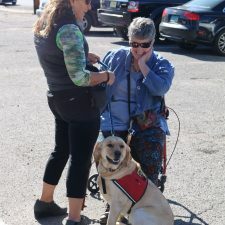 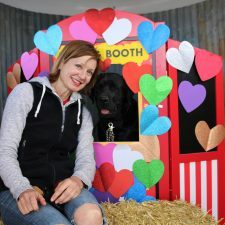 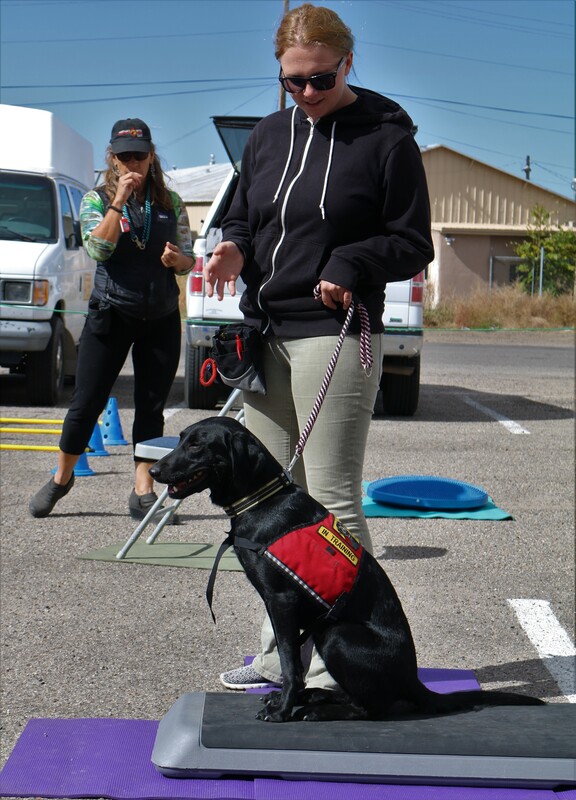 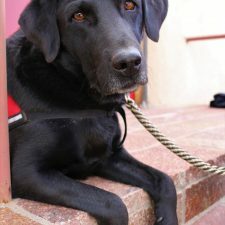 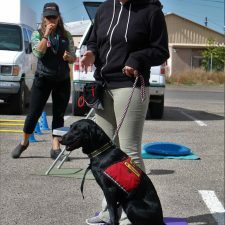 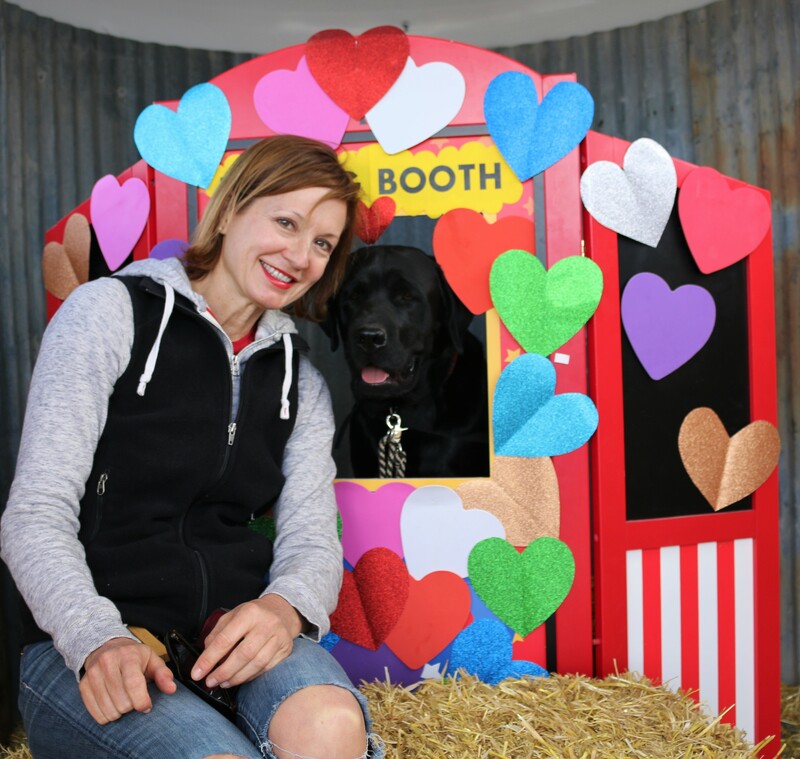 This special day of feasting and merriment, allowed us to showcase our talented canines in the gracious and kind-filled way that is the hallmark of ADW relationship training. 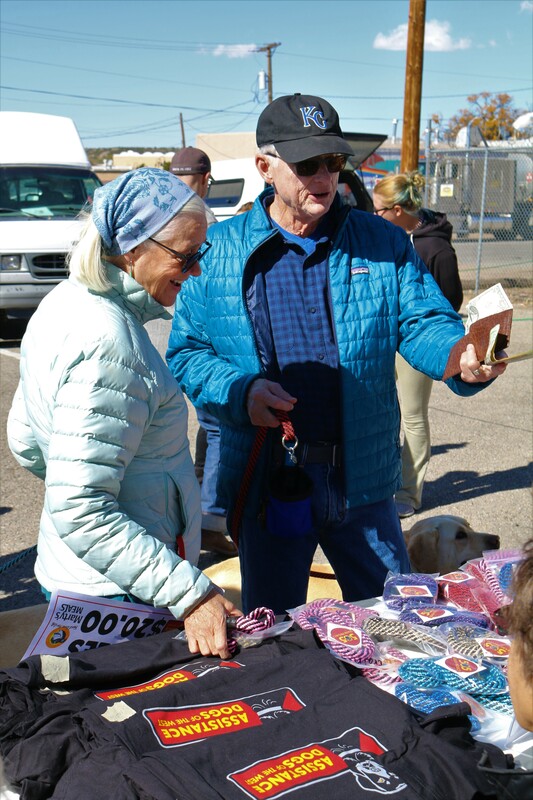 It truly was a day of good cheer, new-found friends, and celebrating with our community the significance of the human-animal bond.